Hardcover, 8.25 x 9.75 in. / 338 pgs / 216 color. 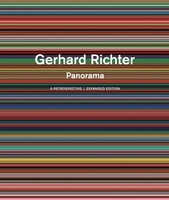 Originally published only in German in 2004, this long-awaited English version of Gerhard Richter's artist’s book is a visual denunciation of the cruelty and madness of war. 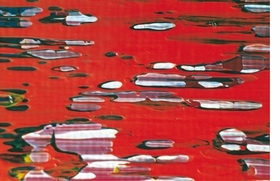 In 1988, Gerhard Richter created one of the most controversial and fascinating political painting-cycles of all time, with his Baader-Meinhof series. In 2002, he returned to the theme of media and political truth with his artist’s book War Cut. 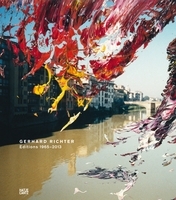 For this project, Richter photographed 216 details of his abstract painting “No. 648-2” (1987), and, working on a long table over a period of several weeks, combined these 4 x 6-inch details with 165 texts on the Iraq war, published in the German Frankfurter Allgemeine Zeitung newspaper on the dates of the war’s outbreak (March 20 and 21, 2003). 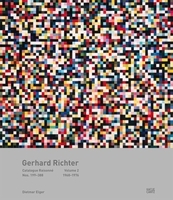 “My method was to attach a number of texts to a number of images without having to think about whether something would be better positioned to the left or the right, above or below,” Richter told an interviewer, for a New York Times feature on the publication. “I placed these images so that a connection develops in terms of colors, structures and other characteristics. . . . Some images match the cruelty and the madness described in the texts shockingly well. 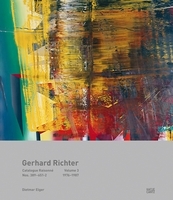 And others can even serve as illustrations when the texts speak of deserts and other landscapes.” Originally published only in German in 2004, this long-awaited English version of this important artist’s book presents Richter’s powerful attempt to accommodate the extremity of war. 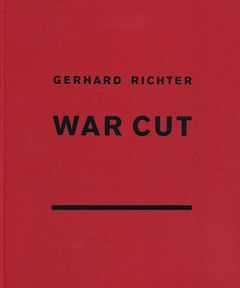 For this edition, Richter applied the same process of text selection to The New York Times, using the same dates of the war’s outbreak. 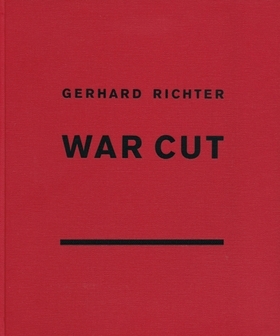 Featured image is reproduced from Gerhard Richter: War Cut. 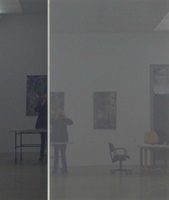 Text by Dietmar Elger. Translated by Dietmar Elger. Edited with text by Yilmaz Dziewior, Rita Kersting. Edited with text by Dietmar Elger. 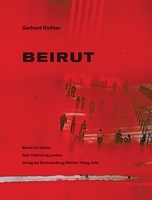 Text by Dietmar Elger, Hubertus Butin, Jaleh Mansoor. Text by Dieter Schwarz. Interview by Hans Ulrich Obrist. Edited and with text by Hubertus Butin, Stefan Gronert. Edited and with text by Dietmar Elger. Foreword by Lamia Joreige, Sandra Dagher. Text by Achim Borchardt-Hume. 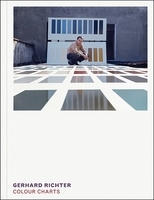 FORMAT: Hbk, 8.25 x 9.75 in. / 338 pgs / 216 color.